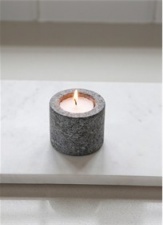 This curved tealight holder is crafted in Raw Granite, the mottled grey colours and roughness are characteristics of the style. 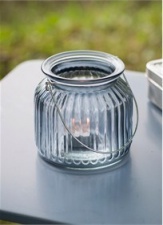 Whether your home styling is modern industrial or countryside chic, the addition of one or more of our Tealight Holders will fit perfectly. 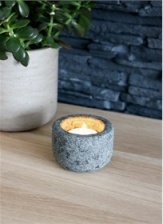 Line them down the coffee or dining table, by the bedside or along the mantelpiece, to give that touch of ambience every room needs.